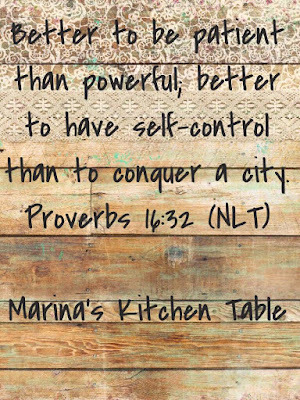 When I posted the Proverbs verses I chose for the day over on Marina's Kitchen Table on Facebook, I didn't know how much truth they held for me TODAY. 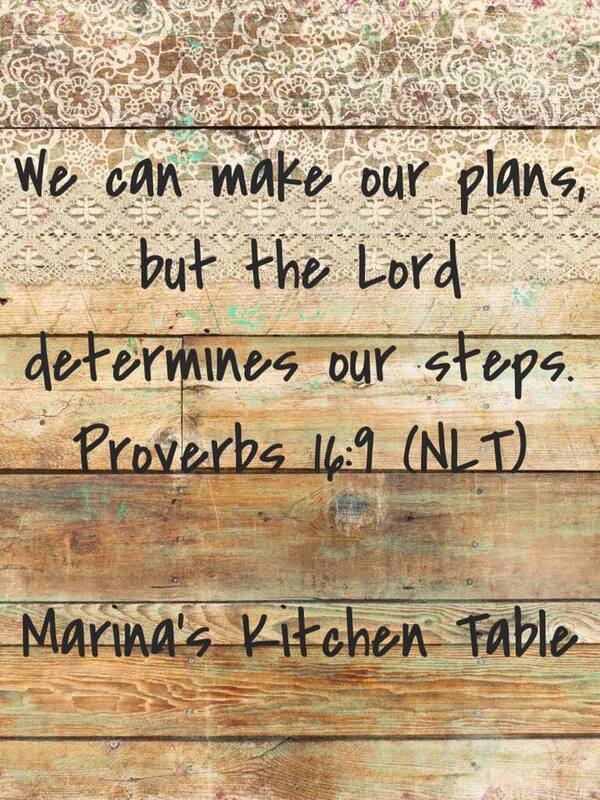 Proverbs 16:9 rang true TWICE! Example #2: I got home, rushing to get to work (because my few hour errand run turned into a few more hours, but included precious time with that dear friend, prayer, and laughter!). I sit down at the kitchen table and pop open the laptop, and go to sign in to all the places I need to sign in to monitor social media for Meet Me in the Meadow... and everything goes well and good, except I can't sign in to my email. My WORK email. ACK. Bummer. I try a few different browsers, then my phone (which got through on it earlier) and my other laptop in the office... none of them let me even open the website to sign in. OH well. I've tried several other times, but nothing has worked... 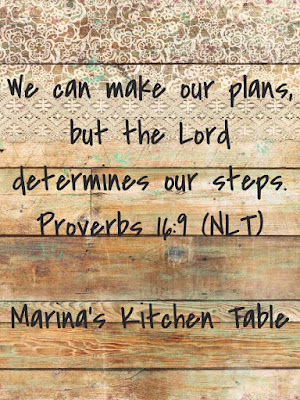 I trust it will all be there whenever it is that I get into it again... God's got this! 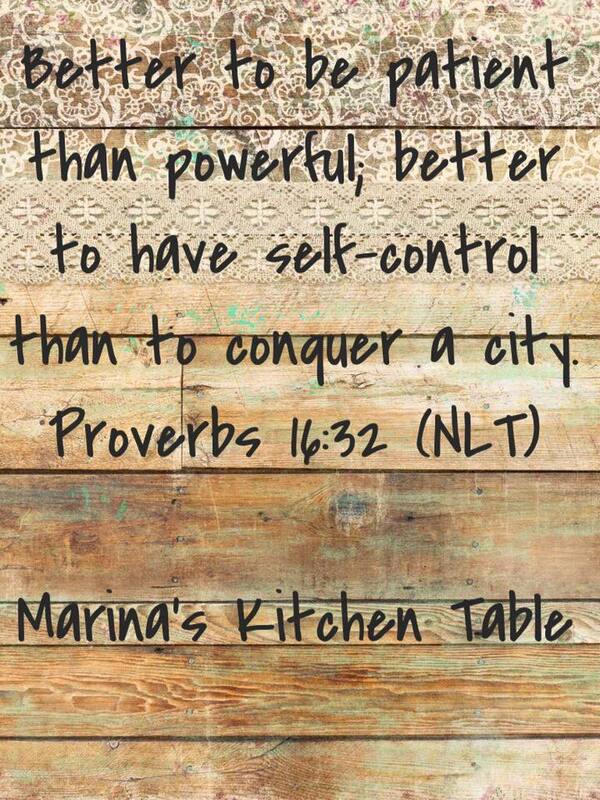 Wonderful thoughts from Proverbs which I know will enrich our lives and give us wisdom to follow in His paths. Thanks for such an encouraging message.